Garden supplies have been used by gardeners and homeowners since decades and it is a never-ending requirement. When there comes a new season, the requirement for garden tools or supplies gets in high demand. If you are looking for basic garden supplies, then also there are hundreds of designs and sizes that are available for one particular tool. If you don’t buy the right tool for getting the job done in the right manner, then the tool will be of no use. Before buying garden supplies, you should check their sizes because a larger tool carries more weight as compared to a normal tool. You should follow this guide before buying garden supplies. Shovel is the key component in every garden. If you want a tool which is used for digging, lifting and throwing sand then you should buy a shovel. They can be of two types such as a round shovel, and square shovel. In round shovel, there is a cut into the soil and on the other hand, if you have to do lots of moving work in the garden then you should consider square point shovel. If you want a largely sized shovel, then you have to buy a scoop also. Spade is a lookalike shovel but is somewhat smaller than a shovel and it has a flatter blade on top-down of the spade. Spade is of three types such as garden spade, drain or trench, and roofing. Garden spade is almost lookalike square shaped shovel, but it is used for cutting, digging and lifting the sod in the garden area. Trench or drain is used for transplanting and it is used for working in restricted spaces because it has a straighter handle and a narrow head. Roofing spade will not be considered as a garden tool, but you can see this item in the garden section. Its head is manufactured to lift and rip roofing shingles. There are many types of leaf rake available in the market for your garden supplies. The leaf rake is available which is used to clean leaves from one place to another or you can say it is used for the movement of leaves. It has flexible steel and poly tines which can do this work effectively and clean all types of dust and debris from the garden. You can buy leaf rake of any size according to your requirement in the garden. Thatch rake is used to remove thatch and it is specially made to scratch into the turf. Then there come flat garden style rakes like flat rake which is used to give extra strength while cleaning the debris. It is T-shaped in design and it is attached to the handle directly so that it can provide extra support to clean the debris. Forks are available in the market in different styles and designs and you can take a fork according to your need. Hay fork is used to move large items such as mulch, brush, compost, and hay. It has round tines which makes it easier to carry large materials. Spading Fork is used to relieving soil compaction because it has very flat tines so that we can lift plants easily and can easily separate soil and other materials. Hoe is a very simple tool which is used to dig the ground, but it is used for very light ground breaking and not for heavy ground breaking. Hoes are of many types such as regular garden variety hoe which is used for chopping because it has a rectangular and square blade on top for easy chopping. Warren hoe is used for planting and it can also be used for weeding, but it is mainly used for planting. It is V-shaped in design and serves a dual purpose. If you want to use a tool to dig furrows, then you should use warren hoe because it has pointed end and if you want to close the furrows then we have to use its open part. Weeding hoe is specifically designed for weeding purpose. It also serves two purposes together because it has two ends out of which one end will be used for chopping purpose because it has a flat blade and from another end, there are pointed tips by using which we can pull weeds upside from the roots. Action hoe is used for weeing cutting action. We have to insert this hoe into the soil, so it can cut on the push. Mortar hoe is used mainly in the garden section. It has holes in its design so that it can easily mix cement-like products and mortar. CHECK HOES PRICE AND AVAILABILITY. 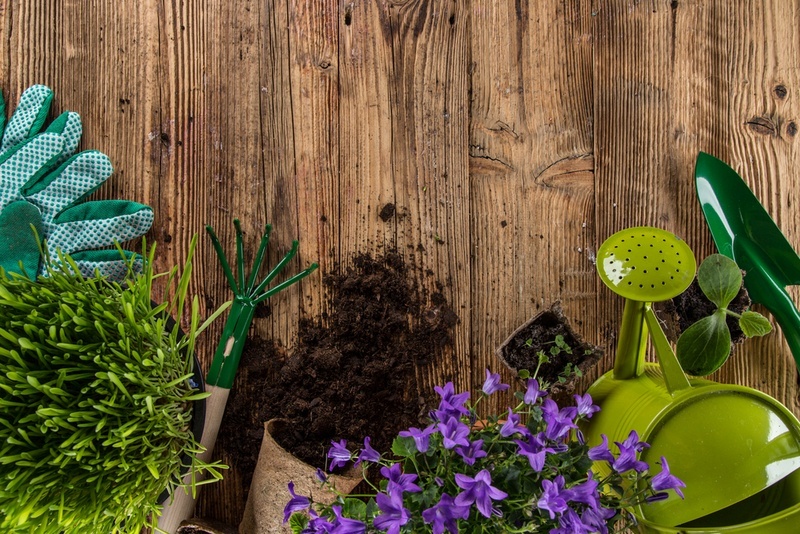 The importance of garden supplies cannot be overlooked, and if you are a garden freak, you can understand it more than anybody else out there. If you are looking to make your garden like a modern-age garden then you should read the above guide before purchasing any tool from the store. This will help you to make use of your hard-earned money wisely.